ANOTHER Stuck Trade…gone! BUT, inventory is very low. Historically, when my holdings shrink, it is time for a bit of market contraction. But who know!? NOTE: These were bought on the first ever “Buy Day” trigger sent by SMS (Text message) to my phone. This new service is being beta tested by 9 volunteers. THANK YOU to all who are helping develop this new service, which will soon be available to the whole community (for free). Some of us live for this kind of sell! Check the chart out at the end. A BIG gap up at the open about doubled my profit. 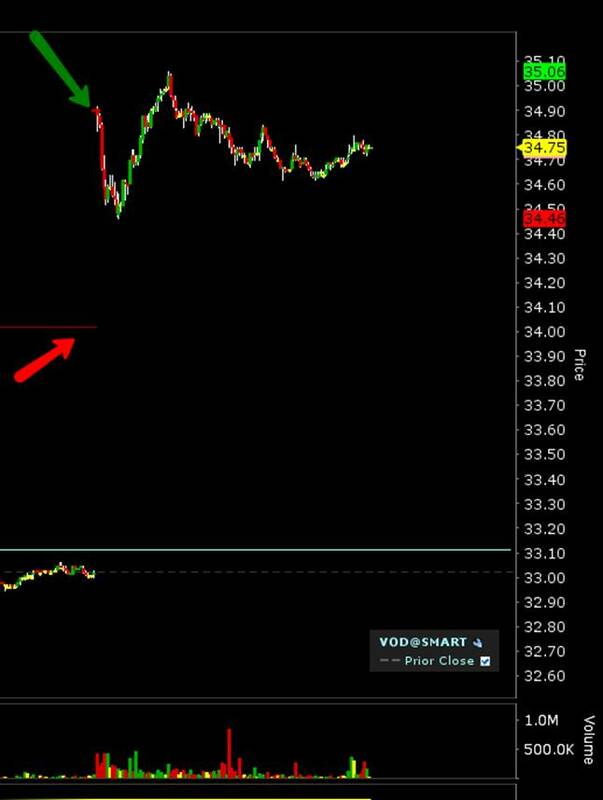 The RED ARROW is my sell target; the GREEN ARROW is where it actually sold. Lovely.